The Studio A program is structured to operate as a social enterprise, meaning revenue derived from the program’s activities is invested back into the program to increase its artistic and social outcomes. Income derived from the sale and exhibition of artwork directly benefits the artist. Studio A contributes to various personal outcomes for the artists including increased self esteem, increased aspirations for the future, broader social networks and a sense of belonging, increased financial security and improved mental health. More broadly, within the community Studio A reduces stigma associated with people with disabililty and increases diversity and inclusion. Studio A offers the mainstream arts sector access to new artists and new opportunities for unique collaborations. More about our Board and History. Click here to view an archive of our newsletters. Karla is a passionate crafter and art-lover with a professional background in creative sales and marketing. Before joining Studio A she worked as the go-between for professional fashion and art photographers and Australasia’s most popular magazines and newspapers. She also enjoyed a brief stint as a baker, making very fancy cakes. 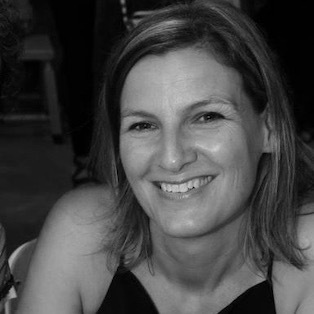 Karla loves a creative challenge and is keen to help develop Studio A’s unique artists and explore the intersection between artistic endeavours and their commercial success. Karla holds a Master of Design, from UNSW Collage of Fine Arts and a Bachelor of Arts in Media and Cultural Studies from Macquarie University. In her spare time you’ll find Karla baking in the kitchen and playing with her two very cute girls. Chris has a strong passion in using the arts to advance the progression of a more dynamic, balanced and diverse voice within communities. Whether that be artistic expression through photography, film, podcasting and other platforms or in the development of an individual’s confidence, communication skills or public relations opportunities. He has a solid background working in film, television and video production. And was named ‘Best Young Australian Filmmaker’ by the Byron Bay International Film Festival for his documentary ‘Better on the Inside’, which explores human rights for people living with a disability. His films have been invited to play festivals across Australia, North America, Europe & the UK and he has received awards for Directing, Cinematography, Editing & Design. Chris holds a Diploma in Screen as well as a Bachelor of Arts in Media attained at Macquarie University. Chris manages Studio A’s digital archives as well as working as a mentor to our Gallery Assistant and Studio A artists in photographic documentation of artwork and our digital inventory. Before moving to Australia, Clare completed a Bachelor of Fine Art (painting) at Ewha Womans University in Seoul, Korea. She also holds a Bachelor of Design with First Class Honours majoring in Fashion & Textile Design from the University of Technology Sydney. Clare worked in the fashion industry for several years, even starting her own fashion label, until she decided to focus on her family. Clare joined Studio A in 2013 as a volunteer and says she feels privileged to work with some truly talented artists who inspire her and she hopes that she inspires them too! A passionate maker, Emma works directly with Studio A artists and is driven to support them in realising their creative visions. Emma is a driving force behind all Studio A’s collaborative projects, and is particularly enthusiastic about creating custom made, commissioned decorative sculptures for events and functions with the Studio A Props Collective. Emma holds a Degree in Fine Arts, majoring in Plant and Wildlife Illustration and has won several significant art prizes. In 2011 she received a Curatorial Mentorship Initiative award from the National Association for the Visual Arts for her work with Studio A.
Lise loves art and loves a display! She uses her creative flair for colour and design to display Studio A artwork and to maximise it's unique appeal. Having over ten years experience in gallery management, Lise now manages the dynamic Studio A working studio and gallery. Lise holds a Bachelor of Arts from Sydney University with a Major in Fine Arts and Psychology as well as a Masters in Arts Administration from the University of New South Wales. She has also completed a certificate course in colour and design and has worked in interior design. Lise also brings to Studio A her own personal experience of caring for a family member with a rare intellectual and physical disability. As a result of this experience, Lise has a great respect for people with disability and a passionate desire to promote their special gifts. Katrina is writer and exhibition organiser with an interest and focus on interdisciplinary and cross-art form practice. In the eight years that she has worked in the arts, she has worked with artists, architects, academics, choreographers and filmmakers. Currently, along with Studio A, Katrina works with curator Barbara Flynn, and artist Rocket Mattler. She has held previous positions at Performance Space, Shaun Parker & Company and Art Gallery of New South Wales. She holds a degree in Art Theory from UNSW Art & Design, and her writing has appeared in Artwrite and Runway: Australian Experimental Art. Tim Bell began his journey at Studio A as a collaborating artist in the Studio A Props Collective. In 2015, Studio A received funding to provide a specialised training program for Tim to develop his skills in photographic documentation of artwork and in digital inventory. In 2017 with the assistance of funding from the ING Direct Dreamstarter Crowdfunding Initiative, Studio A were able to employ Tim part-time as our Archivist and Gallery Assistant. Mentoring, tutoring or skill sharing with one particular Studio A artist or a specific group of artists. Collaborating on a specific project with one particular Studio A artist or a group of artists. Undertaking research or creating artwork that is in response to the Studio A program and/or it’s artists. Guest Artists are often identified and invited into the program by the Studio A team, however we are also open to receiving proposals from artists interested in working within the Guest Artist program. Jo Bertini is an award winning, established Australian artist. She is a painter, art educator, lecturer and writer. She is known internationally for her paintings and drawings of desert landscapes, people and animals. Her work has been acquired by private and public collections both nationally and internationally and is on display in many public art galleries, museums and institutions. For ten years she worked as an Expedition Artist on scientific and ecological survey expeditions into the most remote and inaccessible desert regions of Australia. A published art book, ‘Fieldwork - Jo Bertini’ celebrates her long and intimate engagement with the Australian desert. She continues to focus her artistic interests on desert people and places, painting and working in some of the most remote and inaccessible desert regions of the world. In 2018 Jo is mentoring Studio A Professional Pathways awardee, Matt Elliott, to create a new body of work that examines painting and pushes his practice into new areas and mediums. 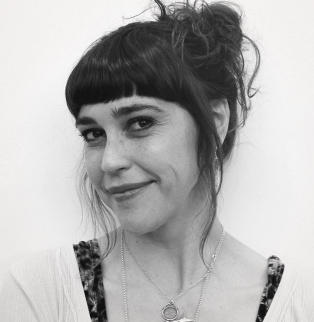 Rosie Deacon is a Sydney-based artist working in sculpture and installation. She engages with the spectacle of obsession and realms of the absurd. In 2010, Deacon graduated from UNSW COFA with first class honours and was the recipient of both the Gallery Barry Keldoulis Grant for Emerging Artists and the Dinosaur Designs Prize. She has held solo exhibitions at Gaffa Gallery and 107 projects, Redfern and been included in group shows across Sydney, Newcastle and Sheffield, UK. In 2014, Deacon was selected as the inaugural Runway Annual Artist Commission. In 2015, Deacon was invited as the Guest Artist for Studio A's project for Underbelly Arts Festival on Cockatoo Island. Deacon exhibited at abandoned theme park 'Adventureland' for Campbelltown Arts Centre's Winter Wonderland, and was recently included in Performance Contemporary for Sydney Contemporary Art Fair, Carriageworks. In 2016, Deacon curated 'Koala Nutbush' ART BAR, at the Museum of Contemporary Arts, and was awarded Viewers Choice in the Redlands Konica Minolta Art Prize at the National Art School, Darlinghurst. Laura Jones’ luminous paintings embody a deep admiration for the natural world. Her often unusual and awkward compositions invite the viewer to share in the experiential process of painting. Her distinct visual language challenges the audience to explore the still life genre from a contemporary perspective despite its traditional origins. She has developed a method of capturing the essence of her subject without being overly concerned with the minutiae of a botanic artist. Her layering of oil paint has a topographical surface quality that references the action of painting. Born in 1982 in Sydney, Jones earned a Bachelor of Arts (Asian Studies) from the University of Sydney, and a Master of Art from the College of Fine Arts (UNSW). She has been included in numerous public exhibitions including a solo exhibition at the Hawkesbury Regional Gallery in 2015. Regularly punctuating her practice with portraiture, she has been regularly selected as a finalist in competitions such as the Portia Geach Memorial Award, the Doug Moran Portrait Prize, and the Shirley Hannan Portrait Award. Laura worked with Studio A artist Nadia Lolas to create a multi-panel collaborative painting, based on the well loved book and movie "The Secret Garden". Laura Jones is represented by Olsen Irwin Gallery in Wooollahra. Stella Rosa McDonald is an independent writer, artist and curator with an MFA in Fine Arts from the University of New South Wales. As a writer, Stella publishes regularly on contemporary art and has contributed texts to numerous exhibition catalogues, magazines and artists’ projects. She has contributed critical writing, fiction and poetry to a variety of publications including Vitamin P3, New Perspectives in Painting (Phaidon), Overland Literary Journal, Ocula Magazine, The Art Life and Art & Australia amongst others. She has a particular interest in interdisciplinary projects spanning writing and the visual arts and in 2016 was project manager for The Bureau of Writing, a collaborative writing program designed for artists and presented alongside the 20th Biennale of Sydney in association with Artspace. She is the former Associate Gallery Manager of Minerva, Sydney, where she facilitated a range of exhibitions and publishing projects with leading Australian and international artists, writers and curators. Stella has joined Studio A to mentor artist, Lisa Scott on developing a new body of work that incorporates Lisa's hand-written memoirs. Antonia Pesenti is a Sydney based architect and illustrator. After graduating from Architecture at Sydney University, Antonia relocated to Paris, working as an architect for 8 years. Parallel to her work there, Antonia spent her time documenting Paris through drawing, developing a passion for illustrated books. Today combines co-directing the award-winning design partnership MAKE Creative with illustrating/designing and making beautiful books, exploring all formats from experimental zines through to picture books. Her bestselling book collaborations with writer Hilary Bell, Alphabetical Sydney and Numerical Street have been shortlisted for many awards. Antonia’s distinctive mixed media illustrations have been published in magazines around the world, but her focus is on creating unique books. She is currently completing 2 solo picture books to be published in 2017, Rhyme Cordial with Scribble, and Look Up, a picture book on architecture, published by Hardie Grant. Antonia joined Studio A to work with artists to create a range of Zines. She is currently working to represent Studio A in the zine community. Leigh Rigozzi is an artist and writer based in Tasmania. After studying a Master of Visual Art at Sydney College of the Arts, he went on to exhibit, curate, and self-publish a variety of work over the following decade. Key publications include Trevally of the Shadow of Death, Bad Habits, Fumetti, Pubs of the Inner West, and List comics. He was one of the co-founders of the Blood & Thunder publishing concern and edited the first two volumes of their flagship publication Blood & Thunder. He has curated several exhibitions of comic art, the most prominent of which was the 2003 show The Dark Woods (co-curated with Sarah Howell), which toured to regional centres nationally. Key exhibitions of his own work include Conclusion (with Cecelia Huynh, 2008) at the Tin Sheds gallery, Rough as Guts (2010) and The Best of All Possible Worlds (2012) at Ray Hughes gallery, and Aftermath (with Lachlan Conn, 2013) at Scratch Art Space. His most recent exhibition was New Tools at Sawtooth ARI (2016). Leigh has worked with Studio A since 2011. He has mentored various artists there, but has primarily worked with Greg Sindel on a series of projects developing Greg's work for publication, exhibition, and adaptation into animated form. He also assisted in preparing Greg's work for a stall at Sydney Contemporary in 2015. Paul Williams is a Sydney-based artists working in painting and ceramics. Paul was awarded the University Medal with First Class Honours in 2007 (UNSW, Art and Design) and after completing a Master of Fine Arts (research) in 2011 he became a Firstdraft Co-Director (2012-2013), Sydney's longest running Artist Run Initiative. Williams has exhibited extensively in Sydney at Gallery 9, Artspace, The Hughes Gallery, Firstdraft, MOP Projects, and interstate at Bus Projects, NCCA, FELTspace and he recently held a solo exhibition at Hazelhurst Regional Gallery. Paul was invited to Studio A in 2015 to mentor Studio A painter, Peter Dudding. Pete and Paul collaborated on some ceramic pieces and in March, 2016 Paul curated a solo exhibition of Pete's work at Firstdraft Gallery. In 2016 Paul is in residence at Studio A where he is working alongside Peter Dudding, Jeanette Scanes and Damian Showyin. The priority for Studio A over the next three years is organisational consolidation, ensuring a sustainable organisation that can continue to create professional pathways for our artists, with the flexibility for future growth. To achieve this, we have identified four strategic goals. Implement operational financial and governance infrastructure, systems and processes so that our organisation can improve its effectiveness and achieve its strategic goals. Identify, pursue and attain sustainable and diversified commercial and funding opportunities so that our organisation generates a surplus of 5% of revenues each year. Build our reputation as an organisation that produces high quality visual art so that our artists can develop strong personal brands. Strengthen and broaden the professional pathways for our artists so that they can further develop as professional visual artists.